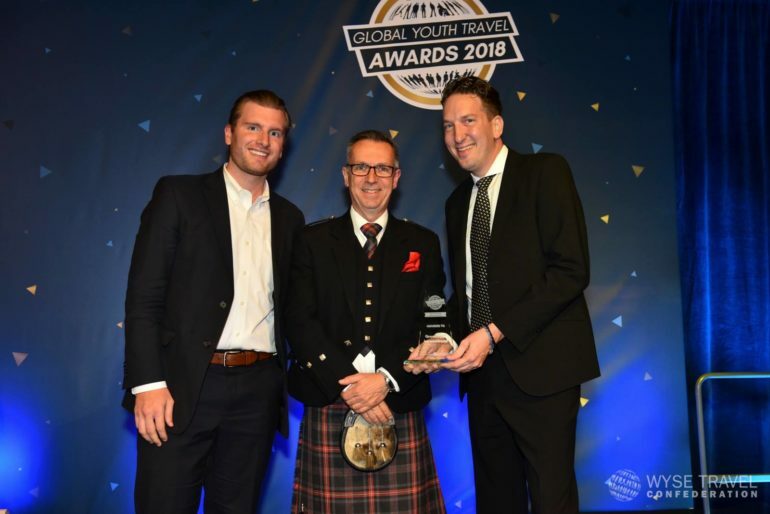 Greenheart Travel Director, Kyle Trebotich, (left) and COO Daniel Ebert (right); receiving the award for Best Education Abroad Provider by WYSTC Director General, David Capman, (center) on September 21, 2018 at the National Museum of Scotland in Edinburgh, Scotland. We are incredibly excited and honored to share some big news! Greenheart has been named the Best Education Abroad Provider at the 2018 Global Youth Travel Awards during the 27th World Youth and Student Travel Conference (WYSTC). Why did we win Best Education Abroad Provider? Our signature youth leadership program, the Greenheart Odyssey, topped the shortlist of initiatives honoring the best in cultural exchange. Judges of the WYSTC awards were among top industry experts in the field. What we created with the Greenheart Odyssey is an innovative pipeline of youth programming weaving local outreach initiatives with cultural exchange. Through the Odyssey we serve need and merit-based Chicago youth and international exchange students with a 5-part series of experiential leadership development programs. With the generous support of donors and corporate sponsors, the 2018 Odyssey program provided full scholarships & grants to 114 youth from over 26 countries. How does the Odyssey work? Adventure calls! On this first stop, under-resourced youth get out of the city and into nature. They experience team building, confidence-boosting activities, and full nature immersion. Bon Voyage! On the 2nd stop, under-resourced youth gain crucial perspectives by traveling outside the continental U.S. They journey to Puerto Rico to help with hurricane restoration projects, acquire language skills, and gain frameworks for leadership. 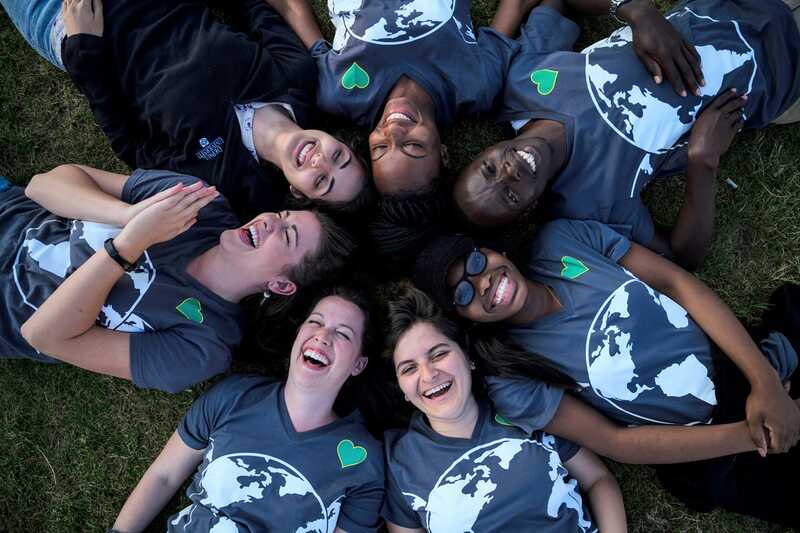 At the Jr. Greenheart Global Leaders Conference we weave the local outreach initiatives Camp Greenheart and Greenheart Quests with our all-star Greenheart exchange students from around the world. A select group of youth leaders, who apply and meet the requirements, spend 5 days in Chicago engaging in service, public speaking workshops, and one-on-one engagement with innovative Chicago changemakers. When young leaders from Chicago, the U.S. and the world, continue to demonstrate their commitment to global leadership, they can apply to join the Global Leaders Conference in Washington, D.C. At GGLC participants become advocates for cultural exchange, visit international organizations in D.C., and listen to amazing global leader speakers. This is the final stage in the Odyssey where merit-based recipients who have demonstrated an enormous commitment to volunteer service and global leadership receive world-class leadership development and grant funding to start a Purpose Project. They are supported throughout the year with training and small group sessions to complete their project. What else supports the Odyssey? The Odyssey program is supported by our amazing staff at Greenheart; our exclusive online volunteer portal, the Greenheart Club; and seed funding for participant or alumni-led projects called Greenheart Service Grants. How can you help more youth experience the Odyssey? You can become a financial partner to Greenheart. We are looking for donors and corporate sponsors who want to make a direct impact in the lives of sincere, dedicated and committed youth willing to put in the work, commitment and time to serve as global leaders in their local and international communities. Please join us in supporting our youth. 5 thoughts on "And the winner is…. Greenheart!" Looks like an exciting program to be in. Hi Anita! I would recommend checking out the Greenheart Travel website (https://greenhearttravel.org/). These are all of our programs for Americans looking to travel abroad. Let us know if you have any other questions! Thanks! .i am planning on moving to Costa Rica in 2019 and I am looking for employment. I have lived and worked abroad over the years and I currently teach primary students. I have a BA . Please let me know if I am a fit for any of your work/live abroad programs. Hi Michele! Thanks for reaching out! All of our programs outside of the U.S. are facilitated through Greenheart Travel. If you reach out to them through this form (https://greenhearttravel.org/contact), I’m sure they would be happy to chat with you more about opportunities in Costa Rica. Best of luck on your move!